Home Media Pyramid feature stories. Pyramid projects featured in leading industry publications. Numerous new and retrofit distribution center (DC) projects rely on Pyramid for software and control solutions that integrate material handling equipment (MHE) to increase the productivity and accuracy of their fulfillment operations. Going waveless allows e-commerce and omnichannel retailers to adapt to shorter order cycle times, and respond dynamically to developing customer demands. Waveless picking can eliminate downtime, insert orders into pick paths reducing travel time, and balance work flow. Read the latest on waveless picking here. As e-commerce demand continues to grow at a staggering rate, retailers are forced to meet increasing customer expectations regarding selection, delivery speed, and availability. 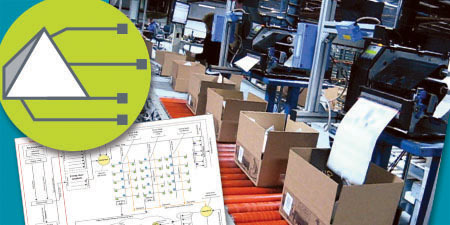 Businesses are utilizing automation and software solutions including WES, put walls, and automatic compliance labeling systems to balance their omni-channel operations and minimize labor requirements. Read the article. Pyramid involves customers during all phases of the system development process to tailor custom software and automation solutions to best facilitate supply chain growth. Matthews Automation Solutions features a wide variety of the latest material handling innovations including robotics, sortation, and WES/WCS. Read the featured interview. Pyramid considers the complete picture when designing and delivering automation and software systems for some of the world’s largest brands. With over 20 years of experience providing innovative solutions and outstanding customer support, Pyramid has set itself apart in the warehouse automation industry with a variety of effective standard software and controls packages. Also discussed in this interview, Pyramid’s proven method for developing custom fixes to clients unique order fulfillment challenges. eBay Enterprise’s Walton, Kentucky distribution campus—operated as a third-party logistics (3PL) e-fulfillment services provider—added automation to boost productivity and accuracy in order fulfillment. Controlling and synchronizing the various automated solutions in use is Pyramid’s Director Warehouse Control System (WCS). Read the article and follow the facility layout. 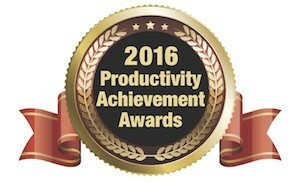 In March 2016, the facility was awarded Modern Materials Handling’s Productivity Achievement Award for Warehousing/Distribution. Read about the award. 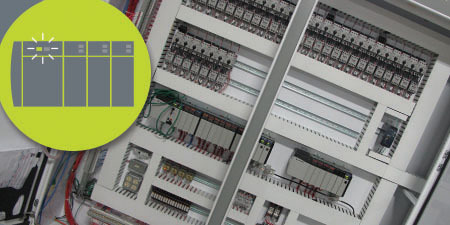 As an authorized Rockwell Automation Solution Provider, Pyramid implements new installations, retrofits of existing equipment, and combinations of the two for customers in a variety of industries. 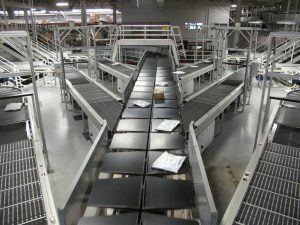 The case study explains how Pyramid engineered, configured and implemented a complete control and software retrofit of a set of tilt-tray (loop sorter) system for a global retailer at a key distribution center. Read the case study. 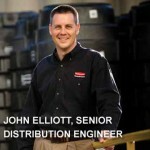 Are there a few key things that OEMs or system integrators say they’ve discovered programmable automation controllers (PACs) do better than programmable logic controllers (PLCs) or industrial personal computers (IPCs)? Perhaps not so surprisingly, the answer lies in a grey area. Read the article. For DSW, a cross-belt sortation system has reduced labor costs, improved productivity and increased in-stock levels in the store. More importantly, it is setting the stage for future growth. Providing retail store fulfillment, DSW’s Columbus, Ohio distribution center utilizes Pyramid Director Warehouse Control System (WCS) and print & apply system. Read the article and follow the facility layout. True sports fans are fanatics. It’s not just enough to watch their favorite teams. They show their loyalty with t-shirts, sweaters, hats, bedding and more. That’s the premise behind Fanatics, the leading online retailer for officially licensed sports merchandise for professional and college sports teams. The distribution center utilizes Pyramid Director Warehouse Control System (WCS), pick wave management and light-directed picking. Read the article and follow the facility layout. One of the nation’s best known retailers of luxury goods, Neiman Marcus’ new facility was designed for crossdocking, store replenishment and e-commerce. 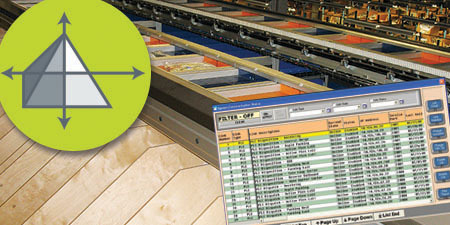 The distribution center utilizes Pyramid Director Warehouse Control System (WCS). Read the article and follow the facility layout. Skechers’ design of its new 1.82-million-square-foot, $225 million DC in Rancho Belago—an inland community about 80 miles west of the port in Long Beach, Calif., where Skechers imports all of its footwear and athletic gear—relies heavily on automated technologies and processes to minimize handling between receiving and shipping while managing an inventory of 70,000 stock keeping units (SKUs). Pyramid worked with the system integrator to provide software and controls for material handling equipment (MHE) used throughout the facility. Read the article and follow the facility layout. When Rocky Brands—a manufacturer and distributor of work, western and outdoor footwear and apparel brands such as Rocky, Durango, Michelin, Georgia Boot and Mossy Oak—redesigned its 210,000-square-foot primary DC in Logan, Ohio, Pyramid implemented a broad range of upgrades, including implementing a new warehouse control system (WCS) to control the existing conveyor and sortation systems. Read the article and follow the facility layout. By updating an aging manual storage system with automated cranes, Rubbermaid Commercial Products reduced costs and improved safety. 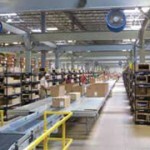 Pyramid provided the conveyor control system for this DC retrofit. Read the article. 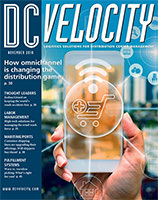 When Office Depot decided to consolidate three distribution centers and a crossdock facility into one, new state-of-the-art DC in Newville, Pa., the office supplies retailer looked for an automated materials handling solution that was efficient and flexible. More importantly, they wanted a system that would deliver a competitive edge in the marketplace. 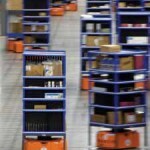 They found that edge in a goods-to-person picking solution featuring two different mobile robots. The DC’s print and apply system was engineered and installed by Pyramid. Read the article. When The Apparel Group Ltd. (TAG) sat down to design a new distribution center, it had two goals in mind. One was to create an automated materials handling system that would get the job done with the least number of touches and the lowest possible handling cost. 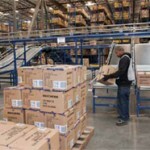 Another was to build strategically by locating the facility in an area that would complement TAG’s West Coast crossdocking operations, allow its sales personnel to better serve their customers across the country and improve their customer service levels, especially the speed to market. Pyramid worked with the system integrator to provide software and controls for material handling equipment (MHE) throughout the facility. Read the article. Henry Schein Inc., a $3 billion distributor of dental, medical and veterinary products installed used conveyor equipment—from a defunct online grocer—for pennies on the dollar when building its new distribution center in Jacksonville, Fla. Read how Pyramid supported the installation through integration of the used controls and programmable logic control (PLC) panels into the final system, rebuilding them where necessary.